Helen Elizabeth Hunt (born June 15, 1963) is an American actress, director, and screenwriter. She starred in the sitcom Mad About You for seven years, and played single mother Carol Connelly in the 1997 romantic comedy film As Good as It Gets, for which she won the Academy Award for Best Actress. 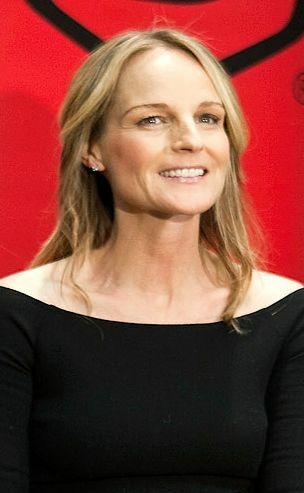 Some of her other notable films include Twister (1996), Cast Away (2000), What Women Want (2000), Pay It Forward (2000), and The Sessions (2012), the latter garnered her a second Academy Award nomination. She made her directorial debut in 2007 with Then She Found Me (2007). Hunt has also won four Emmy Awards, four Golden Globe Awards, and two Screen Actors Guild Awards. Read more on Wikipedia.